A lot has happened in the past month. I’ve moved to the city, settled into my apartment in Hamilton Heights, and (most importantly) started grad school at SHERP. 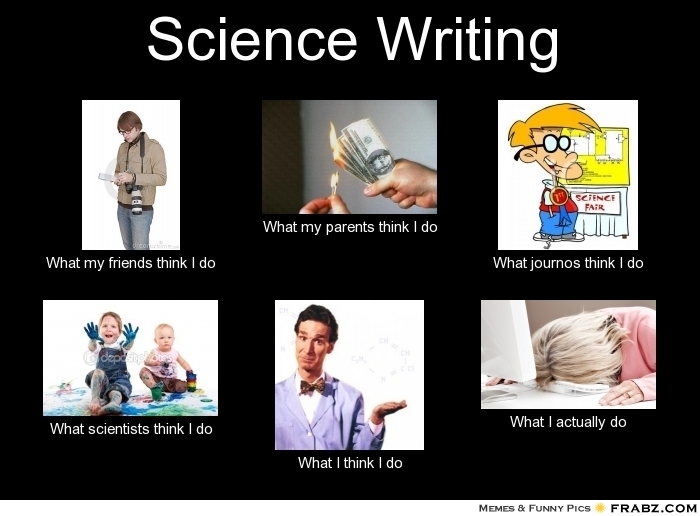 My blog has been grossly neglected, but hopefully pretty soon some of my early assignments will start making their way onto Scienceline and you’ll no longer have a Rachel-Feltman’s-Awesome-Science-Writing-Shaped hole in your life. 1. Stephen Hawking runs over journalists’ feet. I must have my foot over by Dr. Hawking as many times as possible in my lifetime. 2. I hate interviews, but I’m not totally terrible at them. Seriously though, I’m a socially awkward person and a child of the 21st century. I don’t even like to order pizza from places that make me talk to them on the phone, and suddenly I have to talk to four or five strangers a week at length. I’m probably going to give myself an ulcer. Good thing I love everything else about the job, yeah? And I think it’ll grow on me. Like a fungus. A flesh-eating fungus. 3. Science writing takes you to really exotic places…Like Long Island. In all seriousness (or at least some seriousness), SHERP is amazing and I’m having a great time. We’re off to Brookhaven for our big overnight tomorrow, and I’ll definitely be posting about it when we get back! Then I’m spending the weekend covering The Maker Faire. It’s just a whirlwind of science journalism over here, folks. Posted in Things I like and tagged brookhaven, grad school, journalism, maker faire, science journalism, science writing, stephen hawking. Bookmark the permalink.